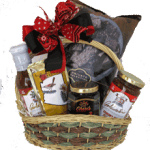 And “good food” is what we look for when selecting the products that we use in our gourmet food gift baskets. We try to find products that taste good, are packaged well, and are not common items in your local grocery or discount store. We combine the best of the best into upscale designs that make any occasion an event. 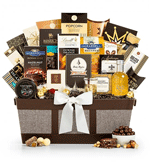 A gourmet gift basket is appropriate for just about any occasion. 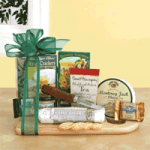 We stock a variety of upscale ready-to-eat snack foods, crackers, cheeses, and just good food! 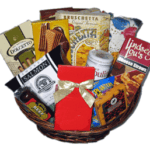 We make our baskets daily (and most of them are custom creations). The baskets that we make are never stored for months in a warehouse like many of the other online companies including Amazon. 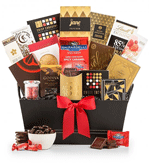 Gourmet gift baskets, that are hand delivered in Flagstaff, Arizona, can include fresh fruit and chocolates any time of the year.